Mesothelioma is an aggressive form of cancer that’s typically caused by exposure to asbestos, which is actually the only existing proven cause of mesothelioma to date. Asbestos is a heat-resistant fibrous silicate mineral that’s often woven into fabrics and used in materials designed for fire resistance and insulation—materials often found in certain workplaces. People who are at the greatest risk for developing mesothelioma are those who inhale or ingest asbestos fibers. Unfortunately, mesothelioma isn’t often diagnosed until it’s reached an advanced state; however, those who’ve been diagnosed with mesothelioma or their surviving loved ones can seek compensation with the help of skilled mesothelioma lawyers. Below are five facts you and your loved ones should know about mesothelioma. Although aggressive, mesothelioma is actually a rare form of cancer that mostly affects the lungs but can also affect the stomach and heart lining. Due in part to today’s advanced knowledge about asbestos in the workplace approximately 2,000 to 3,000 people are diagnosed with mesothelioma each year. Overall, mesothelioma affects only one out of every 166,000 people, even though the cancer has quadrupled in diagnoses since the 1980s. Approximately nine out of ten patients is an individual older than 60 years old. This is likely because it can take anywhere from 20 to 50 years before a person who’s been exposed to asbestos is actually diagnosed with mesothelioma. 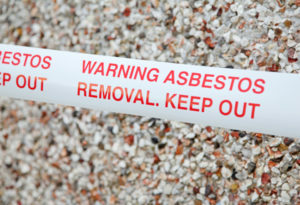 Although mesothelioma is rare, more than 125 million people have been exposed to workplace asbestos, and mesothelioma is the cause of one in every three deaths from occupational cancer – cancer caused by working with certain cancer-causing materials, such as asbestos. To date, mesothelioma has no outright cure, but treatment options are available depending on the patients and their diagnoses. Such treatment options can include certain forms of chemotherapy and palliative or “pain-relief” treatments. However, certain curative surgical options exist, such as extrapleural pneumonectomy, which removes the entire lung, part of the diaphragm, and part of the pericardium. Again, this depends on the patient and his or her diagnosis. Even though we have a better and growing knowledge of asbestos than in previous years, approximately 30 million pounds of asbestos are used each year in the United States. Roofing shingles, insulation, and automobile parts such as brake pads are common places to find asbestos. If you or a loved one has been diagnosed with mesothelioma and believe it’s been caused by workplace exposure to asbestos, contact the mesothelioma lawyers at the Leifer Law Firm. Our Florida personal injury attorneys are highly experienced in litigating mesothelioma claims – even if your exposure to asbestos was years ago. We’re prepared to treat you, or surviving family members, with the care you deserve while we work to get you the compensation you deserve. Give us a call at 561-395-8055 or contact us online to schedule your free consultation today.